Don’t you think taking care of ourselves to lose weight, feel better, improve health, and reduce stress can be…stressful!? The truth is, our bodies are not maintenance free. It takes work to keep it going. A lot of work as a matter of fact. So much for those New Year’s resolutions! Seriously though, most of us view our upkeep to be something of a chore. I know I did. But I tried something different. And I want you to try too. 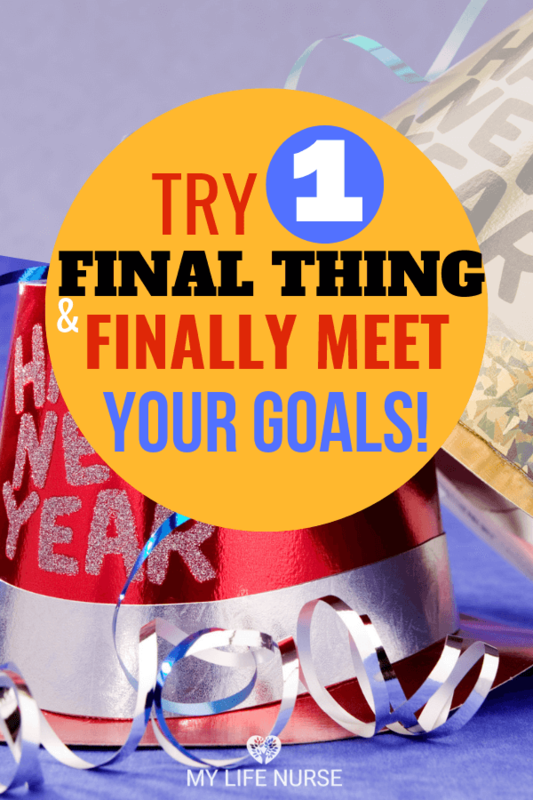 That is why I am sharing 3 ways how applying faith in self-care goals avoids stress. Because it helped! In fact, not only can you use your faith to reduce stress; you can also use your faith to improve and strengthen your self-care. Have you ever noticed how in our ‘worldly’ thinking we lean towards the quick, convenient, inexpensive, tasty and FUN options for our self-care? Ever wonder why we do that? Many times our choices are driven by over-committed schedules, misaligned priorities, and fleshly desires. But something interesting happens after we are on this path for a while. We feel like we need to start looking for the ‘more sophisticated’ solutions to help us to change our lifestyles. Things get more complicated. And sometimes, more expensive. 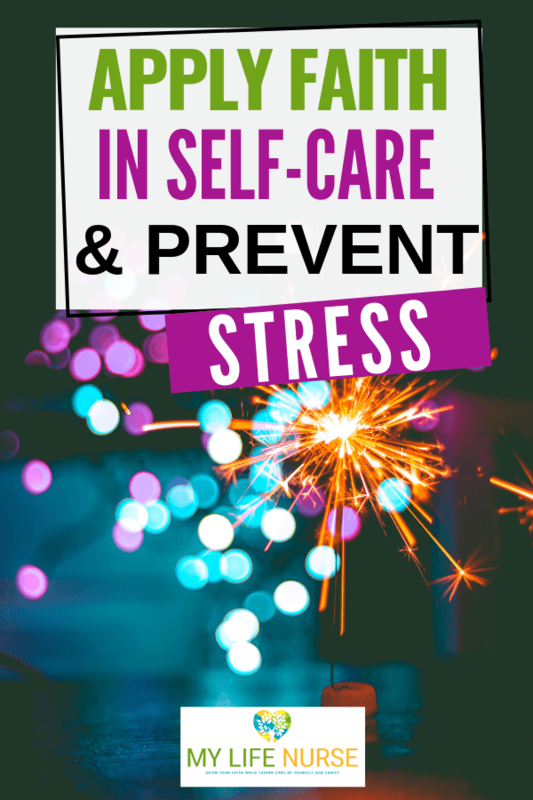 Then we get overwhelmed and lured into more ‘worldly’ labyrinths of self-care stress, negative thoughts about ourselves, and lots of emotional distraction. It’s a trap! Without intentional efforts to apply our faith in our self-care, it’s easy to go down this road. It may seem like the path of least resistance. But, it takes us farther away from our faith. 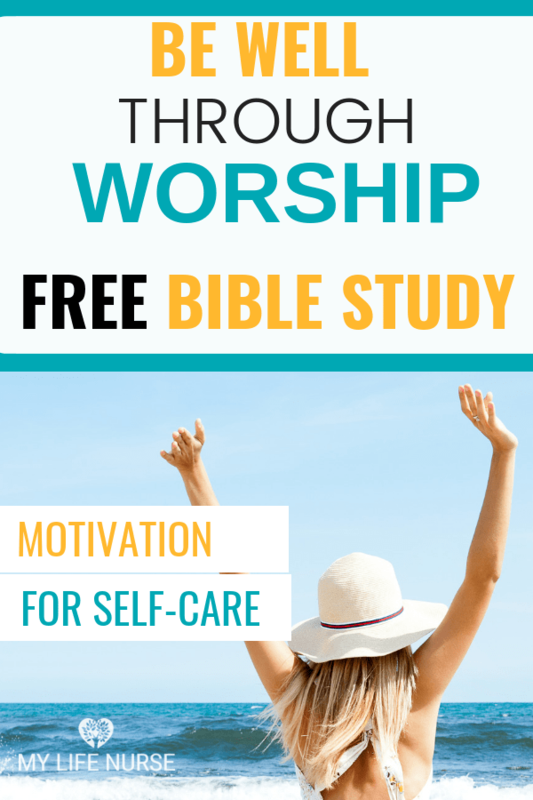 Typically, Christians are not intentional in applying faith in our self-care goals. But the distractions towards ‘worldly’ self-care efforts are deliberate efforts. This is so true! I’ve lived that way, and it creates a LOT of stress! Thankfully, God created our bodies with our physical, mental and emotional, and spiritual systems woven as one. He created us with this unique design so that we could apply our faith in our self-care and goals. When we do, we can overcome the struggles of taking care of ourselves here on earth. Applying faith in our self-care goals avoids the worldly distraction of quick or overnight changes. A big topic we frequently read about in Scripture. Changing how we approach our self-care and applying our faith in self-care goals helps us to avoid the stress associated with the intense work of overnight success. It also prevents the feeling of disappointment in ourselves when we don’t achieve what the world tells us to achieve. What do we gain? We focus on what is best for us based on how we’ve been created. We focus on our gifts. And, we have the chance to know God in a close and intimate way. All of our body systems flourish and thrive. And you know what is really amazing? When we prosper, Kingdom growth thrives! Where do you find yourself tempted to choose the path of least resistance related to your self-care? These are BIG things to miss! All of these interfere with Kingdom Growth because it puts our focus on ourselves and not the Lord. We not only find joy when we focus on the Lord, but we avoid putting stress more on ourselves when we try to do things our way or in our strength. It is so worth it when you avoid stress and consequences, grow closer to God, and experience transformation! In closing, I want to challenge you to turn your energy and efforts away from the easy, quick, convenient, inexpensive and tasty choices for self-care, and instead be intentional towards applying faith in self-care goals through quiet obedience for the glory of God. 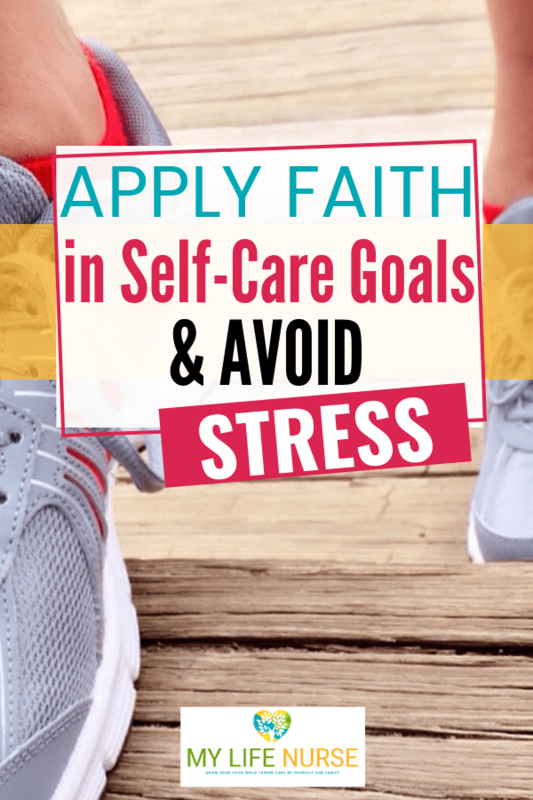 Be sure to pin this ‘Applying Faith in Self-care Goals Avoids Stress’ article to your favorite Pinterest board!